Hummingbirds are darling! But it’s a bird-eat-bird world –sometimes they have to fight to survive! 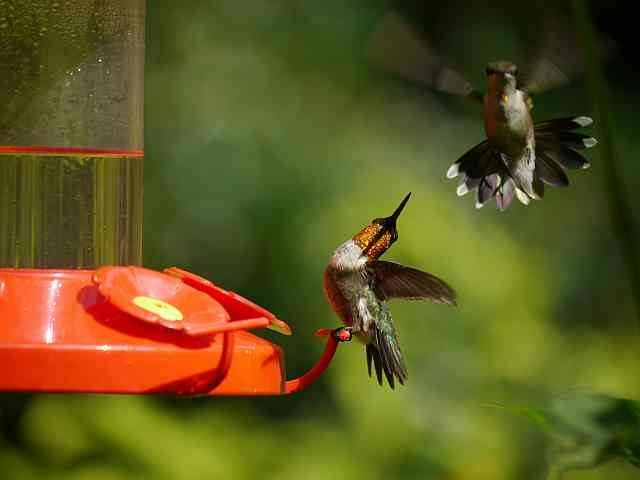 A high-speed camera was used to get a good picture of these birds in action. Flying! Feeding! And yes – fighting!